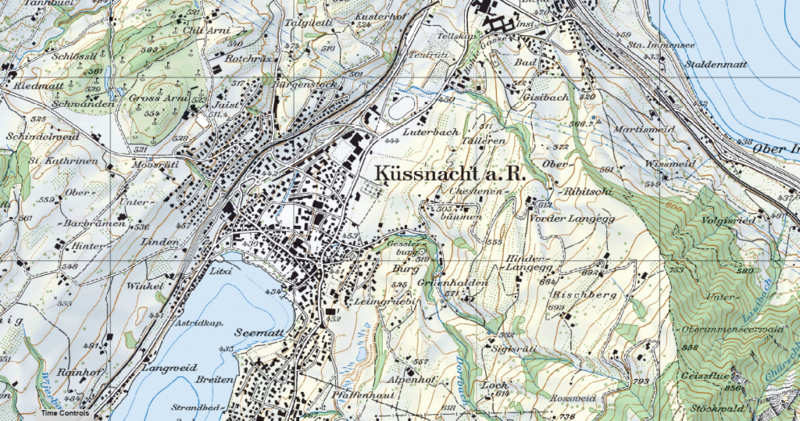 Especially in Switzerland, national maps form the basis for spatial and topographical information. For decades, printed national maps have been extremely popular in this country and are available in different resolutions. geodata4edu.ch contains digital national maps (pixel maps Swiss Map Raster) by swisstopo in the resolutions 1:25 000 to 1:1 000 000 and different timeframes (up to 1982). These are each available georeferenced and in raster format with or without a relief. The pixel maps are direct conversions of the map images into digital form, which makes them especially ideal for historical area analyses (e.g. changes in usable areas, vegetation development or urban sprawl), for superimpositions or as background maps.